HomeChampions LeagueWhat Can Manchester United Learn From A Dire 10-Day Stretch? What Can Manchester United Learn From A Dire 10-Day Stretch? Football is a funny old thing. Manchester United were on a three-match winning streak, and all three wins came away from Old Trafford. Then, an important run of matches, as we wrote, was about to start. Here is an excerpt from that article. Luke Shaw looks regenerated at left-back, Paul Pogba is doing well in recent matches, with some consistent performances. Nemanja Matic seems to be recuperating from injury nicely, while Marcus Rashford and Anthony Martial have scored some important goals in recent weeks. How far-fetched truly is to think Man United could go on an eight-match unbeaten streak? Or even winning streak? This is not to say United will have an easy job – this is rather to say Man United have a great opportunity in front of them to build sizeable momentum that could change the outlook of their whole season, not just this early part of it. If Jose Mourinho is to really get this team to make results, this is the perfect time to start them. And at the time that really made sense, yet nothing came of it. So what can we learn from zero wins from matches against Wolves, Derby, West Ham and Valencia? Just thing about it for a second? 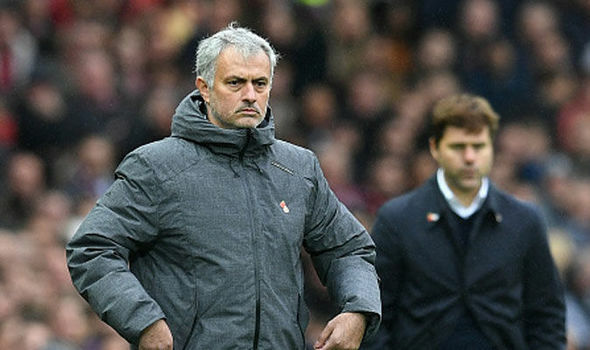 What would need to happen from now until the end of the season for Jose Mourinho to stay beyond this campaign, or for club to still have faith in him? Finishing fourth in the league? A Champions League semifinal? It is very hard seeing Jose Mourinho staying past this season and entering his fourth one as Man United manager. His histrionics at United are getting worse and worse, almost insulting his own players in press conferences, starting with Phil Jones’ penalty against Derby. That is not Man United level and the way United have been playing for months/a year is simply not what is necessary for this club. At the time it felt like a coup, considering United were getting rid off a player Mourinho was not going to play anymore. It turned out to be a terrible move for United, as Alexis Sanchez does not look like a shadow of a player he used to be for Arsenal. He scored just two goals since joining and his performances have been appalling indeed. His salary is huge, he is almost 30 and in decline and he is also often blocking playing time for Martial and Rashford. These four matches only solidified all of these claims.